Eve’s story is usually told as a story about sin. I’m really glad to have been raised in the century I was raised in, because throughout church history, the church has done a great job of using Eve’s story to justify putting women “in their place.” It’s Eve’s fault that sin came into the world, so women shouldn’t take certain responsibilities, shouldn’t be trusted, can’t be trusted. Because Eve’s story is about sin, isn’t it? When I teach about the Fall and Sin, I often tell the story in a way that would seem a little different to most folks. 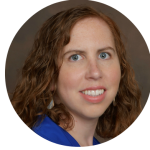 I talk about the relationships, and how they were devastated by the sin that took place in the Garden of Eden. How those devastated relationships would have continued to wreak more brokenness in Eve’s story, in Eve’s family. (Someday I’ll share that story in full here). But other than the blame game with Adam, I hadn’t spent too much time pondering it from Eve’s perspective. 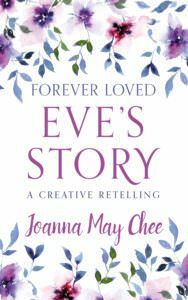 I hadn’t even really thought of it as “Eve’s story.” So I was excited to read Joanna May Chee’s creative retelling of this story. Sometimes we forget this part. Or really, it never occurred to us to begin with. Genesis 2 tells the story of how Adam needed a companion, but none could be found, so God created Eve. But remember, God created humans, both male and female, in his own image. male and female he created them. (Genesis 1:27 NIV). And see, God knew, since he had a plan from the start, that Adam would need a companion. He designed Adam to be in relationship. He knew that the perfect companion would be another human, different, but same. He knew that not one of those other beautiful creatures he had made would be enough. So why did he create Eve second? Why not create them both at the same time? I think God wanted a separate relationship with Adam and with Eve before they met each other. He wanted them to know him as Daddy. And I think Adam needed to know his need for Eve, and to experience that longing and desire for her, so he would appreciate her and understand her value when God brought her into the picture. Miss Chee did a lovely job imagining what these might have been like from the clues we have in Scripture and what we know about God’s nature (and human nature!) from the rest of the Bible. As I mentioned above, when we tell Eve’s story, it’s usually all about sin, her mistake, and the ugly consequences of that sin. And those things are true, and present in the story. But the story doesn’t end there. Humanity expereinces the devastating natural consequences of separation from God, but God also steps in and clothes Adam and Eve. I had never thought about the idea that perhaps he kept them away from the Garden and the Tree of Life in part so that they wouldn’t be trapped in the world they had broken. Even in the midst of telling Adam, Eve, and the snake the consequences of their actions, God is telling them of his plan for future redemption. And we know that, expelled from the Garden, Adam and Eve were still in relationship with God. He took them back. He made a way for them to worship him, for them to be with him, even though things would never be the way they were supposed to be until heaven. This story is about sin, for sure, but even more, it’s about hope. #3 God Still Desires that Garden-of-Eden closeness with you. In the Garden of Eden, God walked around with Adam and Eve, in close relationship and companionship with them. We don’t know the full details from Scripture, but we can imagine what it was like from the way we see God’s heart throughout Scripture. Ms. Chee imagines that Eve even had a special relationship with God in the garden before she met Adam, even if it was only a short time. That relationship was broken by sin. Or it could have been. It was bruised, for sure, and would require healing and restoration. Things would never be quite the same. But from the moment Adam and Eve encountered God in their post-sin nakedness, God invited them back into relationship with him. And he still wants that relationship with us. It’s not just a Lord-Servant relationship. It’s a sweet, intimate, Father-Daughter (or Father-Son) relationship. It’s beautiful, it’s restful, its fun. And it’s still available to us. Sometimes we can get so caught up in what needs doing or what is overwhelming us that we can forget to just enjoy God’s presence, to hang out with Papa God and hear him and speak to him and, yes, even have fun with him. It’s supposed to be that way. Maybe this idea feels foreign to you. If so, that’s okay. But maybe take a little time to talk to God about it. Listen to him. 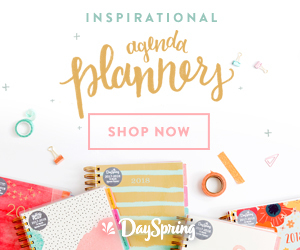 Write a prayer journal of letters to him…let him introduce that side of himself to you. This book was a short and easy read – I actually enjoy them longer, but I felt like I could give this one to a friend and have it not be overwhelming if the friend isn’t a word nerd like me. I like that Ms. Chee fleshed out what might have happened, to get us thinking about it. If you didn’t think storytellng like this could be a part of Bible study, think again. It’s a great way to engage with Scripture and use your God-given imagination to have a conversation with God about his Word. I also liked how Ms. Chee used this story to show how all our insecurities and brokenness are rooted in sin – which means there is also a solution! I think it’s totally acceptable to “fill in the blanks” to make a story like this come alive. We don’t know exactly how these events happened, and as mentioned above, thinking about how they might have happened actually helps us to engage scripture, think critically about it, and apply it to our lives. But I do think we need to tell our readers when we’re doing that. And Ms. Chee does. But she does it in a footnote, not in the body of the text. Only nerds like me read footnotes. So someone could be reading this, and either a) think some of the parts of the story are straight out of Scripture (some are, some aren’t), or, b) because of a), assume that Ms. Chee is off on a limb and about to fall out of the tree. I would suggest that she move that paragraph out of the footnotes and into the body of the text, so it is clear to every reader exactly what’s happening here. It’s not the most grounded book – based in part from Ms. Chee’s spiritual experiences, not just Scripture. That doesn’t make it bad, but I would challenge you to do exactly what Ms. Chee said to do in the aforementioned footnote: read the Scriptures for yourself and join the conversation. And like my friend Joey would say, eat the meat and spit out the bones. Also, the story is told in first person present, which just isn’t my favorite…it’s so hard to pull it off well. If that bothers you, this story might not be your favorite. 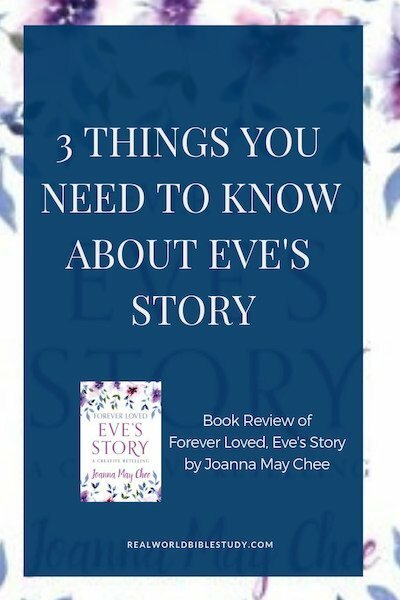 Would I Recommend Forever Loved, Eve’s Story? Yes, even though the writing style wasn’t my favorite, I would recommend this story. 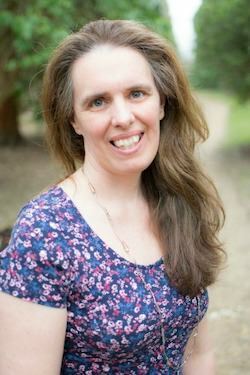 I think it could be a valuable tool to reflect on our relationships with God – and with men – in a way that challenges us and invites us to grow, but also surrounds and comforts us with God’s presence. Don’t read it independently – bring it into conversation with Scripture and with prayer, and perhaps you’ll even find some of your own healing and restoration along the way as you discover Eve’s story of healing and restoration. 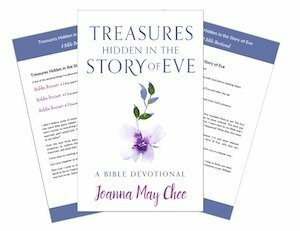 It was during hot, sticky, jet-lagged nights, about four years ago, on holiday overseas, that God started giving me new and wonderful insight into Eve’s life.Words literally started pouring through my head: the story of Eve, but not as I’d heard it before! 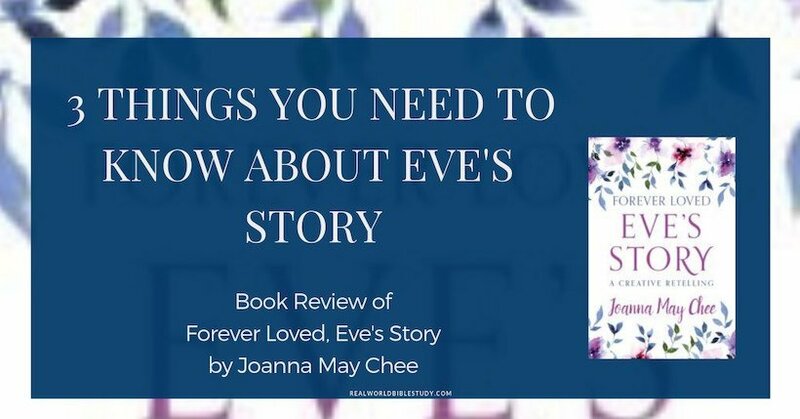 Thank you so much Joy for your thoughtful and honest review of ‘Forever Loved: Eve’s Story’. I’m so glad it gave you new insight into the Bible story of Eve. Your comment about the footnote needing to be in the main text is incredibly helpful. I shall change that. I totally want women to check this story out with scripture! Bless you! That would be perfect! Because, well, you and I know to do that, but some readers aren’t in the habit of going back to Scripture :). I never considered that Eve’s story is more about redemption than sin. What a beautiful thought! Right?? Because God can ALWAYS take and redeem our sin, and even use it to make something beautiful. 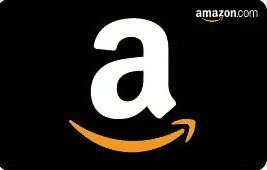 Thanks for the chance! This sounds like a wonderful book that would give some great great insight.